This high quality device is designed to tightly stretch 140 lb to 300 lb watercolor paper. When screws on the edge of the board are tightened, tension is placed on the outside edges of the paper. After drying, the paper will stay flat, with no buckling during wet washes. The watercolorboard can be attached to a tripod using the universal mount on the base. 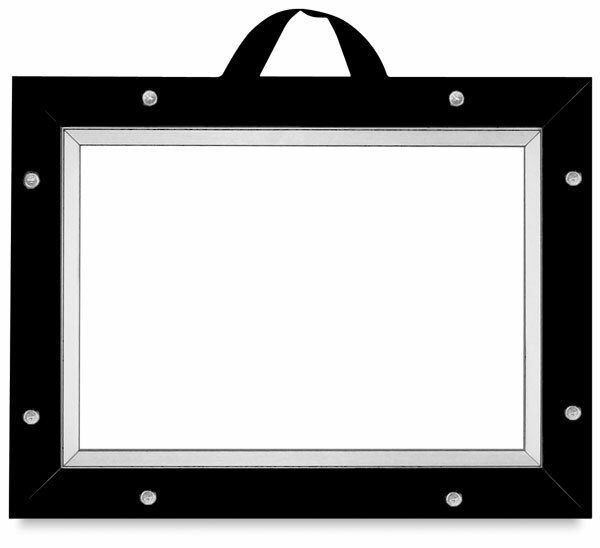 It is made of extruded aluminum and hardboard with a comfortable carrying handle. Watercolorboard Carrying Cases — Now you can transport and protect your Guerrilla Painter Watercolorboard with a carrying case designed specifically for the purpose. Made of waterproof nylon material, the Guerrilla Painter Watercolorboard Carrying Case assures protection from the elements between painting sessions. The lightweight case also features a zipper and a sturdy handle. 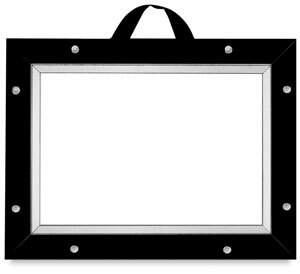 The Watercolorboard Carrying Case is available in three sizes to fit every size of Watercolorboard. ® Guerrilla Painter is a registered trademark.™ Watercolorboard is a trademark.